Clay Pipe Music: Music and Migration III on Second Language. Music and Migration III on Second Language. I have designed the artwork and contributed a track to the the 3rd 'Music and Migration' compilation on Second Language records, all profits will go to BirdLife International. Way back in 2010, Second Language released a compilation album called Music and Migration, which proffered exclusive sonic wares by artists including Vashti Bunyan, Xela, Hauschka, Leyland Kirby and Peter Broderick. Themed around issues of avian migration, and the many man-made threats to international ‘flyways’ as highlighted by the nature conservation organization, BirdLife International’s Born to Travel campaign, the album proved to be both an artistic and critical ‘hit’, selling out its limited edition almost immediately. 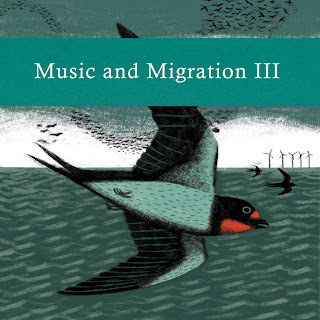 Encouraged by its success, Second Language went on to release a second volume in 2011, the aptly-titled, Music and Migration II, this time in support of BirdLife Malta and their efforts to secure avian migratory routes across the islands. Artists included Marissa Nadler, Piano Magic, Sophie Hutchings and James Brewster. The third and final instalment in the Music & Migration series Music & Migration III congratulates BirdLife International on their 20th Anniversary and particularly celebrates their important global work for migratory birds. M&MIII has a no less stellar cast, including as it does, exclusive contributions from eminent field recordist Chris Watson, Mark Fry, Colleen, Morr Music label mates ISAN and Pascal Pinon, Lisa Knapp, Memory Drawings, Frances Castle, Oliver Cherer (Dollboy), Gareth Dickson, acid-folk doyenne Sharron Kraus, Directorsound and Glen Johnson (Piano Magic). 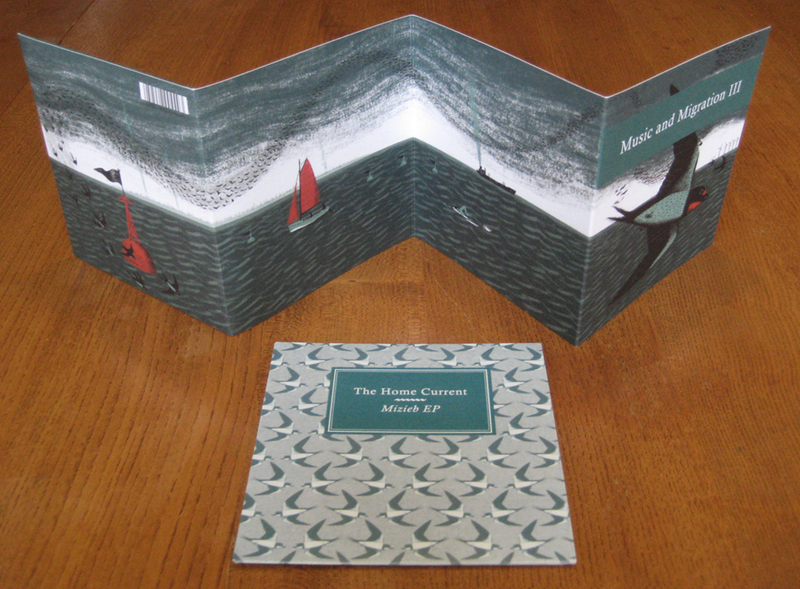 'Music & Migration III' comes packaged as a 6 panel concertina sleeve beautifully illustrated by Frances Castle of Clay Pipe Records/The Hardy Tree. Included with M&MIII is a free bonus disc, Mizieb EP, by The Home Current featuring remixes of Theme From Mizieb (originally released on M&MII) by the likes of The Boats, Opiate, Chronomad, El Búho and Blood On The Snare (Jerome Tcherneyan of Piano Magic). Two original tracks complete the set - Fiddien Torchlight Procession (feat. Anna Rose Carter) and A Case Of Domestic Violins (feat. Sarah Kemp of brave timbers/Lanterns On The Lake). 5. Directorsound - Is That The Heron?